Pamela Guest is the Founder and Chief Editor at IEP Magazine. More importantly, she is one of us, a parent of a dyslexic. She struggled throughout her son’s education, just like us. She had to learn the ins and outs of the system on her own with little to no support, just like us. As my path crossed hers on our journey to help others with the steep dyslexia hike, our common goals brought us together. Education is her passion and this is my interview with her. Q. What do you think is the most pressing issue related to special education in schools today? A. The issues and challenges faced by struggling readers, and more specifically students with dyslexia, impact up to 1 in 5 students in every classroom. 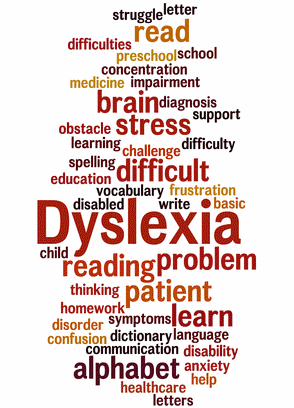 According to the NIH, dyslexia affects 80-90% of all individuals identified as learning disabled and represents the largest group of school-aged children who receive special education services. The problem is that there is no systematic process in place to ensure that students with dyslexia are identified early or even at all, and no consistent method of intervention for those few who are identified. Even after the US Office of Special Education and Rehabilitative Services issued a “Dear Colleagues” letter, in October 2015, with guidelines to local and state education agencies urging school systems to say and use the words dyslexia, dysgraphia and dyscalculia, most school systems have not taken action to correct the misinformed policies and procedures that have resulted in reluctance to address the problem. In an arena where labeling students has been controversial one might ask why there’s an organized push to say the words dyslexia, dysgraphia and dyscalculia. These words are so important because they drive appropriate instruction for those students who need it. Without sweeping changes to the methods used to teach students to read and to the training of educators who provide services to these students, reading failure will persist and continue to impact outcomes for a large group of students. Reading failure poses far reaching impacts on society including the costs of underemployment, remedial education & workforce training, and welfare. Q. What inspired you to become involved in efforts to address this issue and any others? A. My younger son struggled with spelling, reading comprehension, and math throughout his school years. I had often inquired about the possibility that he might be dyslexic but my inquiries were repeatedly dismissed and no effort was ever made to investigate my suspicions. I had confidence in my son’s educators as professionals in their fields and I proceeded to push him harder and urged him to apply himself to reach the levels of success that his educators implied he was capable of achieving without intervention. They were wrong. Unfortunately, Dayne’s dyslexia was not identified until two months before high school graduation. 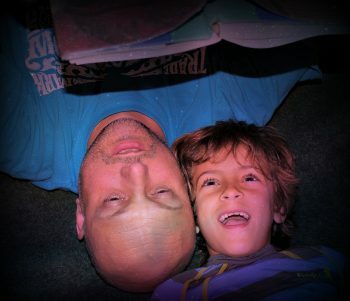 I was overcome with feelings of guilt that I hadn’t known to push harder to confirm my suspicion, anger that my intelligent and capable son had struggled tremendously all those years without adequate support, and frustration that once his learning difference had been identified as dyslexia, his educators knew very little about what to do to help him. His confidence and self-worth suffered terribly as he was repeatedly told that he wasn’t trying hard enough and when he did try harder and worked earnestly to apply himself, there was little to no improvement. If I had known more about the processes and laws that protect students with learning disabilities and the processes that are outlined to help parents to ensure their children receive a Free and Appropriate Public Education (FAPE) I’d have probably acted more diligently and confidently to get my son identified earlier and to fight for the proper services. I’ve decided to make every effort I can to help other parents to understand the process and to be better prepared to advocate for their children. In addition to my work with advocacy groups and as a consultant to parents, I designed IEP Magazine to be an easy to use reference and guide that parents can refer to as needed, share with others, and most of all, read without feeling overwhelmed by the information. I want the magazine to provide a positive and uplifting venue for sharing information and celebrating the unique abilities of student’s who just happen to learn differently. Q. What concerns you the most regarding special-education-student’s needs and services? A. Services and approaches can vary from one system to another and even from one school to another within the same system. Working with groups like Decoding Dyslexia Maryland (DDMD) and my local Special Education Citizens’ Advisory Council (SECAC), I’ve heard stories about the inconsistencies that parents face throughout school systems. Granted every student’s needs and approaches should be different, but basic services, guidance, and information should be consistent throughout systems. A parent shouldn’t have to face uncertainty for their child’s IEP if they move from one school to another either in the same or across state or district lines and the services they receive shouldn’t vary in different environments. ▪ Many parents don’t know to identify/associate a serviceable learning difference/disability when they see their child struggling so they don’t seek help or they don’t know what kind of help they need. ▪ These are parents who more than likely already have more on their plates than they can handle and don’t have time to muddle through tons of new information and unfamiliar resources. ▪ Since heredity is a big factor for many learning differences, parents often share a similar neurodiversity with their children which can make the effort to research and advocate even more daunting for them. Parents need consistent, reliable direction from school systems that they can trust to tell them what will result in the best outcomes for their children. Q. How would you describe the ideal classroom/education environment? A. Ideally, all educators, administrators, parents and other educational support personnel would operate with intention and understanding of a guiding paradigm that all children can learn and that all students matter. Instead of focusing the bulk of resources and attention on the high achievers alone, systems would target comparable resources on ensuring that strugglers receive the services and appropriate interventions to make reasonable progress toward learning goals. In the ideal education environment, the growing rate of reading failure that exists in the United States would be treated as a crisis and given the urgent and immediate attention it deserves. Q. Do you think that ideal is achievable any time soon? Q. What do you think is the most important aspect of a child’s education? Encouragement—at every step so they’ll go the extra mile. Acknowledgment—of every effort so there’s no fear of trying the next time. Validation—so they know their thoughts and ideas are important. and Confirmation of their right to individuality so they feel comfortable and confident being who they are. A. Strong support helps boost self-esteem and confidence which provide a foundation for self-advocacy, self-motivation, and ambition. No matter what a child’s strengths or weaknesses are, confidence and self-esteem can provide the forces to reach beyond any perceived limitations. Q. What do you think could change about the public school system to make children’s lives better? A. I believe there should be more encouragement of each child’s individual gifts and talents and less urgency to have them fit the cookie cutter model of what success and the future should look like for each child. A. Through the years, when I was so consumed with my efforts to make sure my children were supported, progressing and moving toward personal success with confidence, it was hard for me to identify my own worth gauged in any way other than how well they were progressing. It was an exhausting job to keep up with each of their very different educational challenges but it was even more challenging trying to keep educators consistent with the support they offered from day to day. 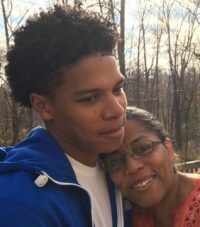 I supported my older son’s education from pre-school through college, ensuring that he had what he needed to learn the way his brain best processed information. I sometimes felt cheated because I didn’t have the time to commit to my own career development the way I thought I should. What I didn’t realize was that I was receiving an education worth more than any masters or doctorate program I could have procured at a college or university. Each moment I spent working with my differently-abled children or dealing with the school system that wasn’t servicing them adequately prepared me to be able to help others later. What I learned during those years of hard work and dedication has transformed me. I am convinced that when provided the appropriate services and support all children can make reasonable progress in the public school system where they are entitled to a Free Appropriate Public Education (FAPE). I have made it my mission to bring attention to inequities, advocate for change where it’s needed, and to help parents to prepare themselves with the information and knowledge they need to effectively advocate for their children. I created IEP Magazine so other parents don’t have to reinvent the wheel the way I had to as I stumbled and sifted through the overwhelming amounts of documentation and resources that were available. I often longed for a go-to resource that simplified the information and gave me a foundation of understanding that I could depend on. I want to do whatever I can to help all children to achieve their life goals with their confidence and self-esteem intact. We can all relate to her life, struggles and dreams. Thank you, Pamela, for sharing your story with us.